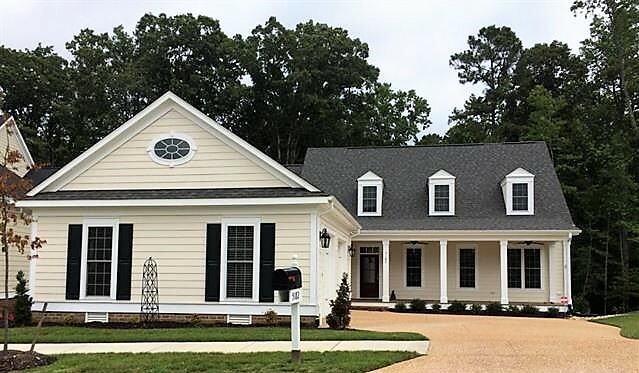 Charlotte Park is one of the newest neighborhood to be announced in New Town in Williamsburg VA. As of 2019 Charlotte Park is completed but a new section of New Town, Shirley Village replicates the look and feel of Charlotte Park. 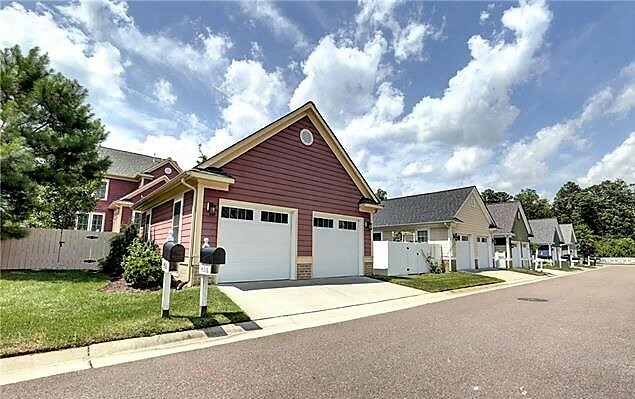 Charlotte Park and Shirley Village in New Town are the only sections offering detached housing. 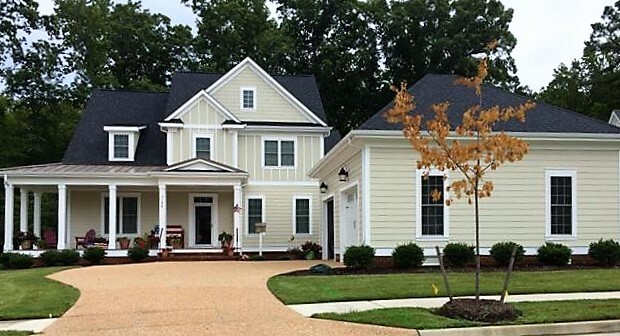 These are the first-of-its-kind neighborhoods for New Town. 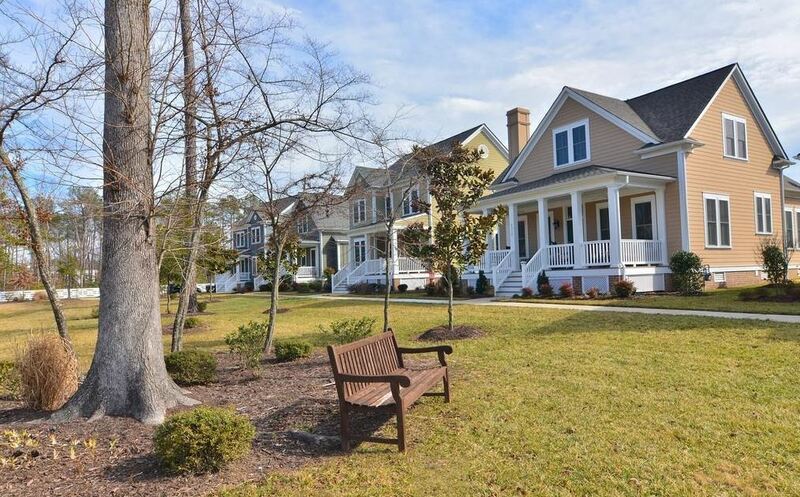 All previous neighborhoods in New Town ( Abbey Commons, Savannah Square, Chelsea Green have been attached/ townhome neighborhoods. 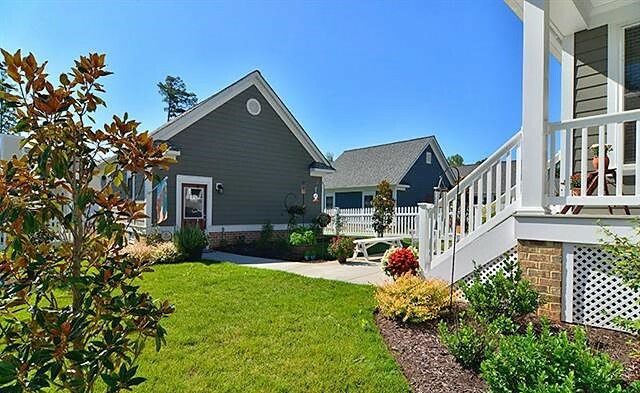 Home designs offered for the detached single-family homes will evoke the charm and allure of South Carolina’s coastal Low-country. The designs feature deep porches, steep pitched roofs, wide overhangs and dormers in the true Southern tradition. Interiors are spacious, well lighted with plenty of windows, and just perfect for living family-style with hardwood floors and high ceilings. 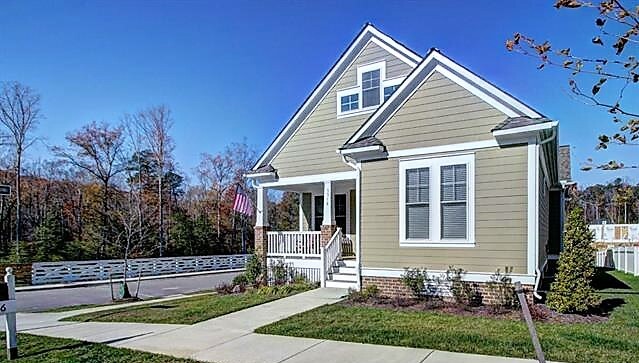 Charlotte Park is a neighborhood of single-family homes on tree-lined streets, all with front porches, and many options and floor plans to select from. Each home will overlook a green space or park, while alleys allow access to the rear of the homes and to the two-car garages. The neighborhood swimming pool, a walking path away, should be completed soon. Interiors offer such upscale amenities such as hardwood floors, granite countertops, cascades of natural light from many windows, and high ceilings are a few of the many architect-inspired innovations to contribute to the ambiance. When completed, Charlotte Park will be a neighborhood of approximately 150 homes on tree-lined streets, all with front porches, and many options and floor plans to select from. Each home will overlook a green space or park, while alleys allow access to the rear of the homes their two-car garages. The neighborhood swimming pool, a walking path away, is now open for residents. 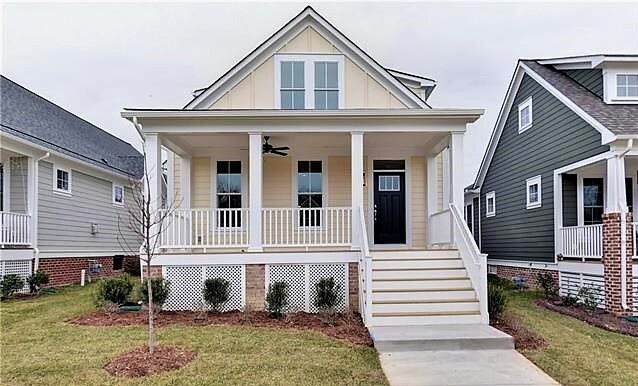 Interiors of the Charlotte Park homes offer such upscale amenities as hardwood floors, granite countertops, cascades of natural light from many windows, and high ceilings. The homes will range in size from 1,500 sq. ft. to 3,500 sq. ft., and will have walking trails connecting the neighborhood to everything New Town has to offer. As with all of the other homes in New Town, all yards and green spaces are maintenance free. Freeing you from the drudgery of yard-work. New Town includes mixed-use development, traditional neighborhood design, and pedestrian-friendly attributes, as it seeks to recreate the sociable traits of places built 70 to 100 years ago. With these traits in mind, New Town homes sit close to the street and incorporate front porches and balconies to encourage interaction among residents. The community includes homes, apartments, commercial and retail space, along with a small private school and several town green spaces.